An individual with autism does not always show every symptom. However, there are some characteristics and observed indications. Determining these indications early on is substantially important for the education of the individual. Starting the education early on enables individual with autism to easily adapt to life and society. Also, parents learn how to approach their children with autism and act accordingly. The most attention-grabbing problem in social interaction problems is avoiding eye contact. The child either never makes eye contact or little eye contact and turns eyes away with the person. This situation may occur in many different types. For example, the child can suddenly make unexpected eye contact and then again suddenly drops the gaze. This is a behavior that can be seen as abnormal and a symptom of autism. Using less mimics to express oneself or not being able to express while talking can also be listed under autism symptoms. Not being able to adjust the volume of voice and the distance that should be put between people in a crowded environment can be seen. Children with autism struggle with communicating with their peers. They generally do not have many friends. Things they are interested and enjoy to share are quite limited. They are also not eager to share. For this reason, they have difficulties while adapting to group activities. Most of the time, individuals with autism are unresponsive when someone calls their name or someone is interested in them. They may pretend to not hear even though their names are called. Things that attract other children do not attract them and they remain indifferent to the events happening in the environment. Children with autism may have problems with speech phase. Their language development fall far behind from their peers’. When children reach two years of age and have not said any words, this should be seen as indication. Children older than 3 years old should normally be able to build two-word sentences easily. However, if the child does not do this, there is a problem. If they have autism, children who start talking make grammar errors and repeats them. They are insufficient in terms of communicating with talking. It is hard for individuals with autism to start a talk. They also have difficulties with advancing the talk that is going on. During conversation, talking turns into talking to oneself and the interest in the other party diminishes. Different from general conversation rules, individuals with autism develop their own unique language. They tend to repeat what they are being told. The games they pay are more weak and limited compared to what their peers play. For instance, they cannot play games that require imagination like playing house. Most of the time, they cannot figure out how to play with toys. They generally incline to hit the toy to a certain place or hit the toys with their hands. 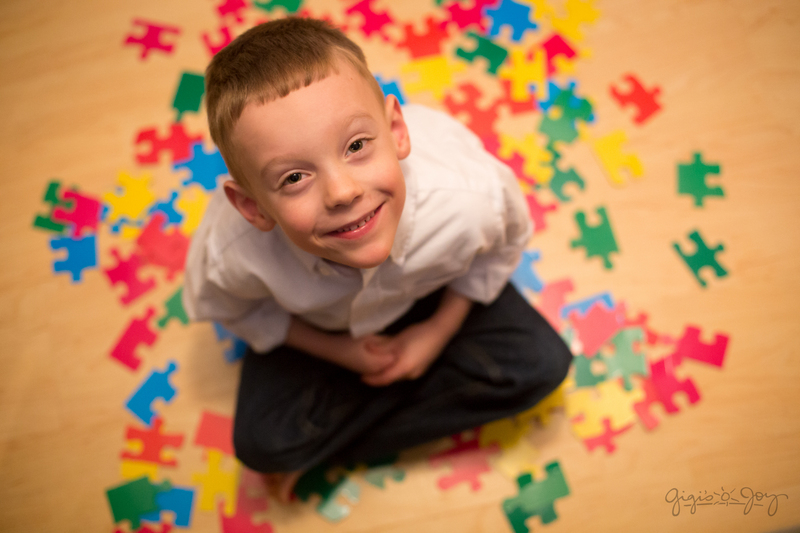 Fields of interest of individuals with autism are substantially limited. On the other hand, they overreact to things they are interested in. It would only be possible to get their attention in such situation. They are so interested in the things they are interested, they can remember the tiniest detail relating to that topic. They create a routine in their daily life and want to repeat it constantly. When this routine is interrupted, they become upset. They think about the things they may interrupt their routines beforehand and act accordingly. Besides, taking and observing the thing they are interested in detail can be considered as a symptom. Having 6 of these indications mentioned above should be enough to consult to a specialist.